You can find all the relevant code for running this PyGame application and the smart cab navigating through it using Q-learning algorithm here. There is only a change of code for action to choose an action randomly through the list valid_actions = [None, 'forward', 'left', 'right']. Successful: within deadline and rewards above 10. And unsuccessful would be the “else” of successful as seen in the code. It clashed with other cars. It made illegal moves (not obeying the traffic lights). Once in awhile, the car does reach the destination before the time is up. It reached 19 times to be precise. We will be comparing this metric to our improved smart cab when we learn using the q-learning algorithm. I have created tuples for the states as they are hashable. State means the environment that the smart cab encounters at every intersection. We have to decide what inputs you old like to include to define the state at the intersections. Status of traffic lights: red and green. This input is relevant as we need to obey the rules to reach our destination. This is relevant too because it concerns where the car should go. This is a situation where there are few cars. This may not be so relevant but it helps in reducing penalties and increasing our cumulative success rate. I would normally include this. However, there seem to be no rewards for reaching early. Only rewards for obeying traffic rules. Hence, it is not worthwhile to include Deadline as an input as this would drastically increase the number of states we need to train on. 24 states per position seem like a reasonable number given that the goal of Q-Learning is to learn and make informed decisions about each state. This is because we have to understand that we face an exploration-exploitation dilemma here that is a fundamental trade-off in reinforcement learning. This seems like a good balance of exploration and exploiting 6 states. 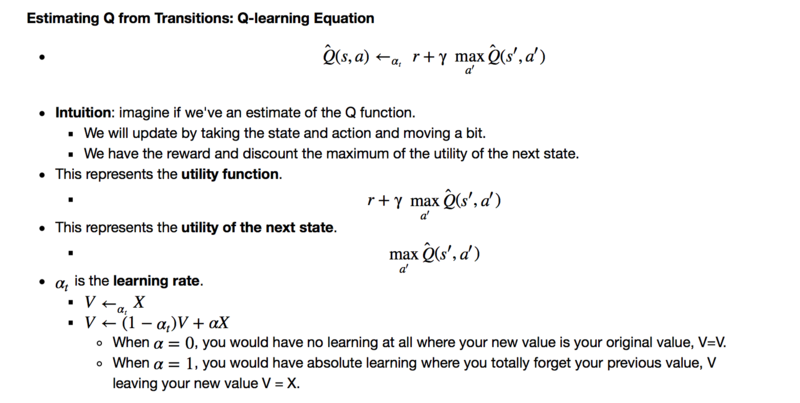 Alpha (learning rate), is arbitrarily set at 0.3. Gamma (discount rate), is arbitrarily set at 0.3. Epsilon (randomness probability), is arbitrarily set at 10 such that it is 10%. This is done by randomizing the values of p from 0 to 100. And if p < epsilon, the smart cab would take a random action. Although we will suffer more initial penalties trying out every action. 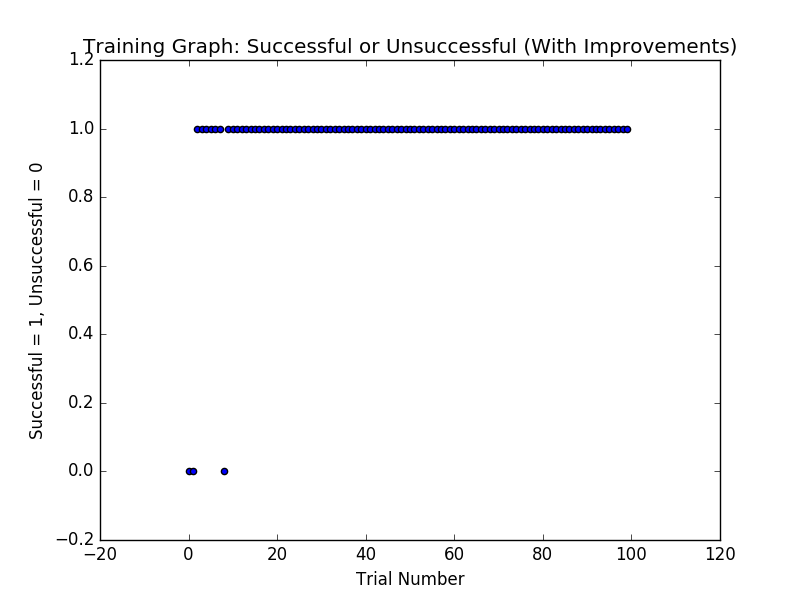 This will matter more only when scaling up this reinforcement learning problem to include more dummy agents. This technique is called optimistic initialization. The smart cab reaches the destination more frequently. And if you look at the results of the 100 trails, we’re having fewer violations of traffic rules compared to without learning. 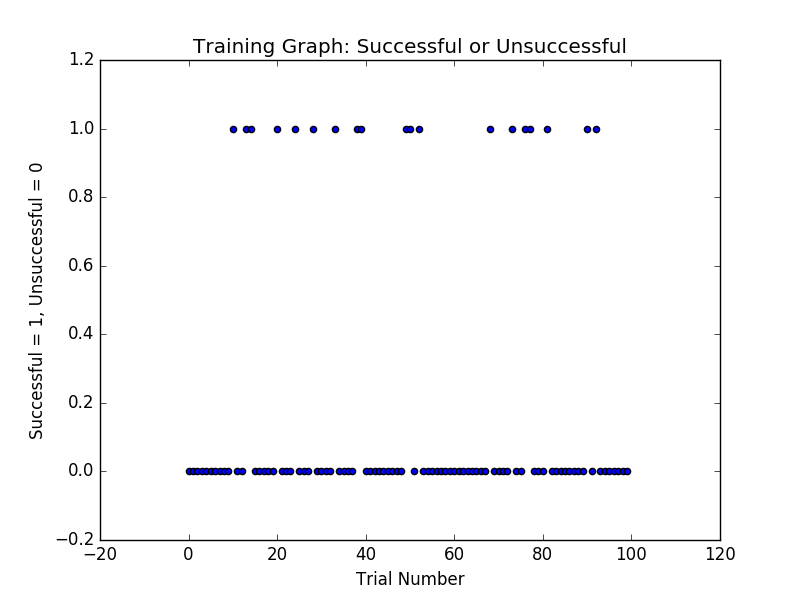 With trial and error, it seems the following parameters allow the agent to perform best. The agent does reach to the final absorbing states in the minimum possible time while incurring minimum penalties. No clashes with other cars. Disobey traffic when the time is running out to reach the destination. This can be seen from the trials’ summary above where when there is a red light, the car might still make a move instead of remaining stationary. This would cause accidents and this is undesirable in the real world. Going in circles when there is a lot of time left to have more rewards before reaching the absorbing state. This can be observed how the cab takes a particular long time initially when there is a lot of time. 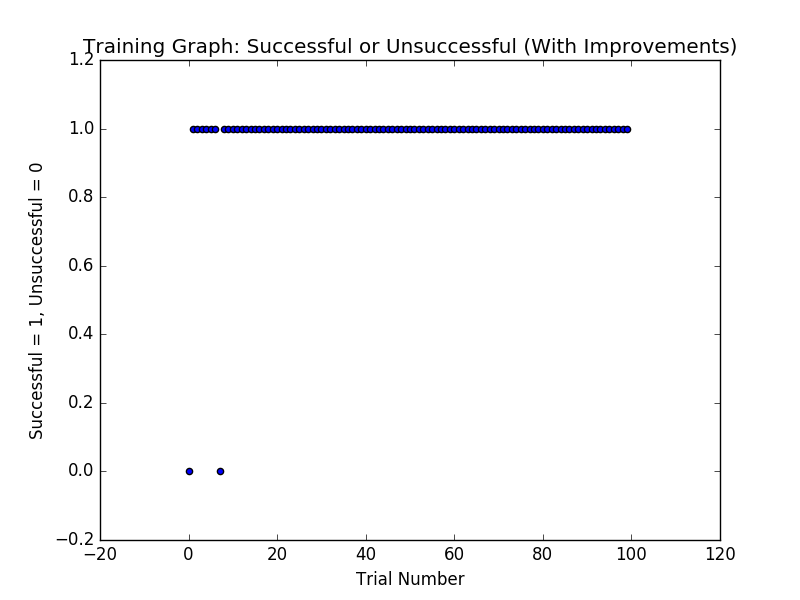 Thereby explaining the high number of moves in the trials’ summary above. This would cause the smart cab to increase the cab fare in the real world and also delay the trip for the passenger, both of which are undesirable in the real world.